Real Estate vs. Mutual Funds - Which is better? I'm not a financial advisor, nor am I an expert in investing, but in these turbulent economic times, it's more important than ever to discuss this important and controversial topic. Even today, both mutual funds and real estate still offer investment potential. When you borrow to make either investment, the interest is tax deductible. But the revenue property delivers further benefits: maintenance expenses and building depreciation are also deductible. If liquidity is important, mutual funds offer faster access to cash than real estate. In both cases, buying low is a major benefit. But with a revenue property, you can buy even lower with a fixer-upper, do the work yourself, and create even higher profits. Real estate offers leverage opportunities. Let's say you make a 20% down payment on a $500,000 house, and in two years it's worth 10% more ($550,000). The return on your actual investment is 50%! Leveraging equities can be riskier because values change more rapidly. Plus, the bank won't loan you $400,000 to buy $500,000 in stocks! Both real estate and mutual funds gain value over the long term. But revenue properties also yield monthly rental income, which can cover mortgage payments. 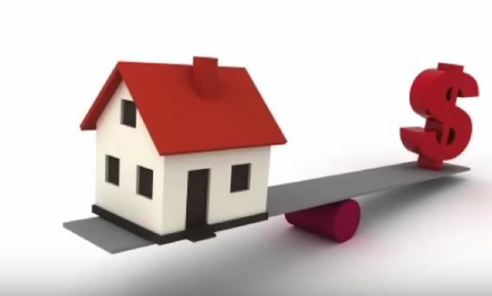 As you build equity, you have more funds to purchase a second property. If you're interested in investing in revenue property, call us today!